If you use iCloud for email, calendar events, or contacts with any apps other than those made by Apple, and you haven’t upgraded the security on your account to use two-factor authentication (2FA), syncing and other interaction will fail starting June 15. That’s when Apple imposes a new security requirement that requires unique passwords for all third-party software that works with iCloud accounts. That includes apps like BusyContacts, Fantastical, and Thunderbird, to name a few of hundreds, as well as online services that sync with iCloud or retrieve email. 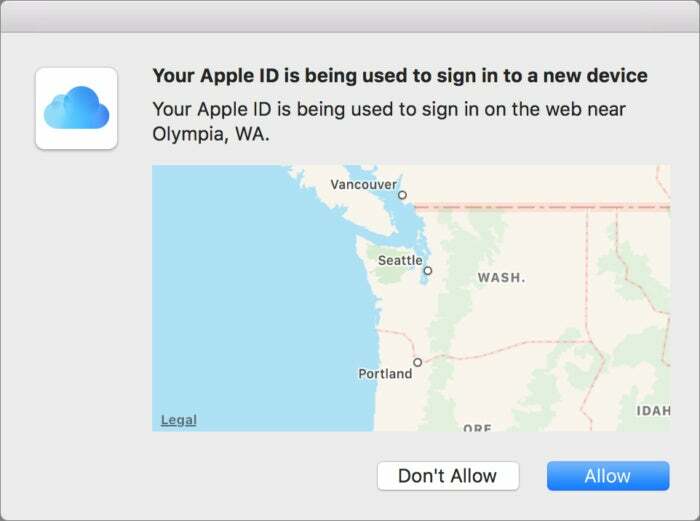 Apple’s 2FA system alerts you to new logins by rough location before proceeding to offer a code as a second factor. The password is “something you know” in the authentication rubric. Add something you are, like a fingerprint, or something you have, like an authentication app on a smartphone, and someone has to either gain physical access to you or your devices or remotely hack that equipment through malware. A code sent via SMS is also an option for most 2FA systems, including Apple’s, but SMS isn’t as secure: it can be intercepted, a phone number can be transferred to another device, and SMS doesn’t require special software or an account to receive. SMS texts also appear by default on locked screens unless you reconfigure iOS and Android options. The problem with 2FA is that it typically works only within an ecosystem run by the company that makes the services. So you can use Apple’s 2FA with iOS, macOS, iCloud.com, iTunes, and other Apple websites and services. But what if you want to use third-party software for the limited elements Apple exposes? In that case, as with other 2FA systems, you have the option to create an app-specific password. With some systems, you can crank the limit further. For example, with Fastmail, you can specify that a password only allows SMTP (outgoing email). For Apple and Google, these passwords can be broadly used for email, calendar events, and contacts with zero limitations. Here’s my brief guide to setting up app-specific passwords with an Apple ID. An app-specific password provides access to several iCloud services, and can be revoked (as I did for this one). The solution for avoiding this app-specific password weakness is OAuth, a standard used broadly by websites like Facebook, Twitter, and Google to allow third-party services limited access to features and data within those companies’ silos on behalf of a user. OAuth lets a service like Google identify each third-party developer with a unique ID, and tokens are issued for users bound to that ID. Thus, as with the recent attack in which a ne’er-do-well created a fake app called Google Docs, once discovered, Google can shut down all associated tokens without affecting any other third-party services. John Chaffee of BusyMac, makers of BusyCal and BusyContacts, has been trying to get attention for this problem for some time. He’s frustrated as a third-party developer about both the complexity for end users in setting up app-specific passwords and the security issue. He prefers OAuth, which his apps already manage with other services. “My guess is that 99 percent of users have no clue about app-specific passwords and Apple does very little to help them figure it out. The vast majority of our tech support requests are from users who are unable to connect to iCloud and have no idea why,” Chaffee says. It’s admirable that Apple wants to get users away from entering their Apple ID/iCloud password directly into third-party apps, and migrate to a system in which risk is minimized with app-specific ones. But it’s not far enough. OAuth has many, many, many problems, including the ability for a login to be spoofed to users who are unwary. But because it compartmentalizes security weaknesses, it’s still far superior to app-specific passwords. It doesn’t matter if your castle is firmly locked up if someone can obtain the keys to the rooms in which you keep some of your most precious valuables. OAuth is like a guard at each storeroom checking ID, and it’s a sensible way to better protect iCloud users.